This will be our first time going to GABF, although we’ve been to many beer festivals before, including: Great Taste of the Midwest, Great Nebraska Beer Fest, the Omaha Beer Fest, St. Paul Summer Beer Fest and the Omaha Homegrown Homebrew Festival. Our first beer fest was the KC Beer Fest and one of our favorites is the Parkville Microfest, which we’ve been to twice. So while it’s not our first rodeo I did reach out to some of our beer friends who are multi-year veterans to the GABF event to ask for some first-timers advice! Also known as @BeachBumChris on Twitter is a Texas BeachBum living in LA. He is a diehard Texas Longhorn, Former sportscaster, big food & craft beer geek and currently the Sales Manager @SoCalBeerCo, Craft Beer Consultant & future Cicerone! He wrote a post as well with some very helpful tips for the festival. Also known as @darthweef on Twitter, Stephen stars in the New Brew Thursday video podcast. He is working towards becoming a Certified Cicerone, is currently a Certified Beer Server and full-time beer geek. First you must plan for the travel; how are you getting there? If you’re flying, be sure to bring some huge zip lock bags and bubble wrap so you can take home some of that Amazing Colorado brewed beer in your checked luggage. If you’re lucky and you live close enough to drive; you’ve got it made! Just leave room in the car for a case or two! Denver is 5,183 above sea level and if you’re a ‘Low-Lander’ like me, you WILL feel the effects of alcohol much faster than normal and you will get the infamous ‘Altitude Headache’ the next morning. You must — Hydrate — Hydrate — Hydrate! Common sense should be screaming don’t drive to the festival. Denver has plenty of transit options to get you around. Light rail train stops right in front of the Colorado Convention Center and the bus does too! We are going to get a 10 stop pass for the whole weekend, you might want to as well! Check out more Info on RTD Passes here. Yes, this is serious business, be prepared! At least a few hours before, be sure to check out the Breweries listing and the festival map so you know where to go when you get there. Don’t ‘Prime’ before the fest, there will be PLENTY of beer for you to sample! Pre-fest avoid all aromatics; smoking, hot/spicy food, gum & strong colognes or perfumes. Their aggressiveness will affect your ability to truly appreciate the beers. Bring some extra cash for food, nonalcoholic beverages & the random emergency. If weather is permitting or you can handle it, skip the coat! The last thing you want is to carry your coat around the fest all night. If you need a coat to make the walk to one of the local tap houses afterwards, plan on heading back to the hotel after the fest to pick one up! Eat. Before, During & After! "Make yourself a pretzel necklace; it helps refresh the palate and keeps your stomach down to a low roar." -Angela; Also, be creative! But you might want to think twice about using cheesy poofs. Costumes or Funny Hats? Sure, why not! Get in line early, the line outside will be long, but the crowd will be jolly and entertaining. We’re all here to have fun, so do your best not to ruin it for anyone. There will be a LOT of beer there! No… really, A LOT! More than you can ever contemplate tasting in a few short hours. If you don’t go into the event with some sort of tasting strategy, you’ll be quickly overwhelmed by the selection. Examples of some strategies are: the must ‘try beers’, breweries you’ve never heard of before, tables with brewery reps pouring (identifiable by the folks wearing the lanyards), beers with dog names, etc. Come up with some plan and try to stick to it. If you have a large group, you could each pick your favorite style and then when someone fines a great beer, then everyone can deviate from their plan. If you have a question for the brewery rep, be sure to keep it short and step to the side so the people behind you can also get a beer. Have your friends dance at the Silent Disco and video tape it. The heckling is not to be missed! If you come with a large group, be sure to plan to meet up somewhere if/when you get separated. The arena is extremely loud and you probably won’t hear your cell phone, so if you lose them, you’ll have a hard time finding them again. If you don’t LOVE the sample that is in your glass, or if you just don’t feel like finishing it, Pour It Out! That’s what the buckets are for, and no one will take offense. Leave room in your belly for something you might appreciate more! Falling Rock every night obvi!… but for sure Saturday night after 7PM for Dr. Bill’s Famous rare beer tasting. It’s EPIC. Avery and Euclid Hall’s Midnight Breakfast on Thursday night and of course Avery always throws a great party on Thursday afternoon. 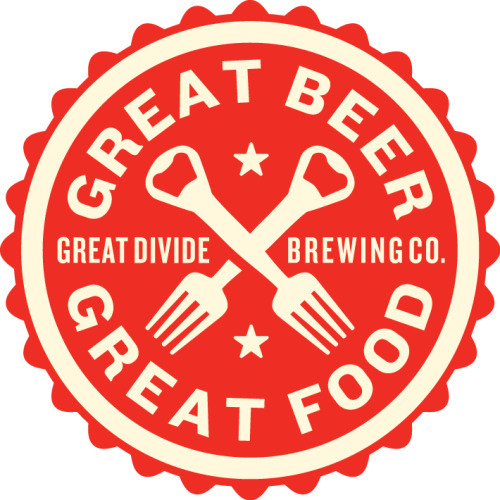 Also, be sure to swing by the Great Divide Beer Lounge. They will have live music and food trucks parked right outside. Find all the details on their Tumblr post. You can find more information about events going on around GABF on Tom Wilmes Daily Camera article here. And my final suggestion for the new GABF’r, BE SURE TO GET A TICKET FOR NEXT YEAR! See you in the Crowd! Prosit! Have more tips for GABFers?! Let us know in the comments below! The fare is apparently up to $11 (I remember when it used to be $6), but still a bargain compared to the other options.